RentMyRide is South Africa’s first neighbor-to-neighbor car rental platform. The website makes it possible for anyone to run a small side-business by renting out their own car. RentMyRide is part of a worldwide movement called ‘Collaborative Consumption’ or the ‘Share Economy’. The movement’s poster child is Airbnb.com. This 25 billion dollar company makes it possible for anyone to turn their home into a hotel. RelayRides is the biggest neighbor-to-neighbor car rental company in the US and currently has almost 100 000 cars on their website. Drivy, which started in France and is rapidly spreading all over Europe, currently has more than 26 000 cars listed. Similar companies are thriving in almost all big cities around the world. Car owners can now enter the South African car rental market, previously almost inaccessible to the man on the street. Owners can make anything from R2500 to R11 000 a month from a single vehicle. Renters can save at up to 40% compared to regular car rental companies and they have the wider selection of choice. Renting out your own car can be a daunting thought at first, but RentMyRide makes it easy and safe. Their 10 million rand insurance policy which includes 24/7 roadside assistance should put your mind at ease. Renters create a profile on RentMyRide.co.za and then their details are screened. Car owners set the availability and price of their car. They then get notified when a renter requests a booking. Owners control who they rent to and can accept or deny a booking request. Once a rental is complete, owners and renters can review their experience for future user’s benefit. RentMyRide is launching in Cape Town and from there will spread out to form a nationwide network of car owners and renters. One of RentMyRide’s early adopters, Mike made R42 000 last year renting out his car. 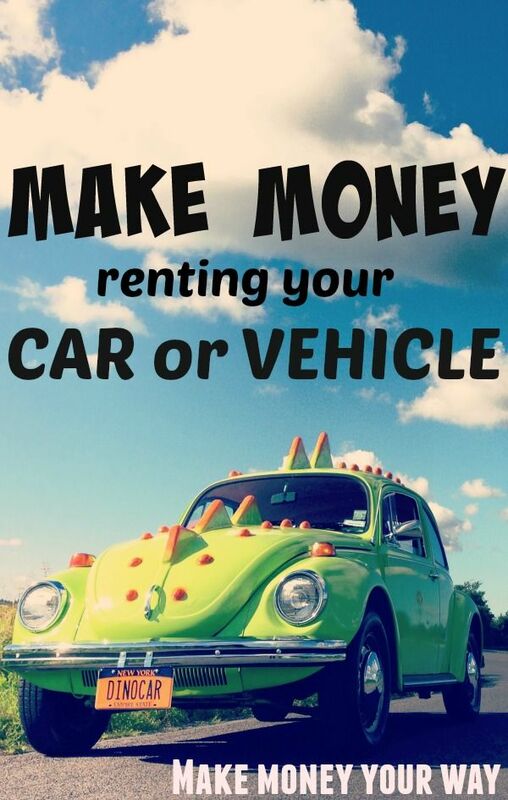 It was a year ago in the spring of 2014 when Mike Bunn was first introduced to an awesome new concept: earning side income by renting out your personal vehicle. Mike was looking to start a small business, but wanted something that he can do in his spare time and would not interfere with his full time job as an accountant. He came across an ad by RentMyRide that offered to rent out your personal vehicle. How did you decide to rent out your first car on RentMyRide? After seeing that initial ad to RentMyRide, Mike recognized a great opportunity. “At first I was a little bit skeptical about renting out my car to strangers, but looking at RentMyRide’s R10Million insurance policy gave me peace of mind. I thought I will first play it save and only rent out my older model 2007 VW Polo and see how it goes. The car was mostly out on longer term rentals to international volunteer workers and some overseas university students. The international renters were a bit more conscientious than the South Africans. One German even had the car polished before he returned it. After a few months I bought two more cars to rent out. What are you using the extra income earned through RentMyRide for? RentMyRide has been a great addition to Mike’s own paychecks. His side income of more than R9000 per month has been nice and steady, allowing him to meet two different objectives —building his own business, as well as having discretionary spending money to use as he pleases.